In 1990 bestselling author Lori Wick released her first book, A Place Called Home. More than 39 titles and 6.3 million sold copies later, her body of work captivates millions of devoted readers with its charming characters, tender stories, humorous moments, and inspiring examples of faith. 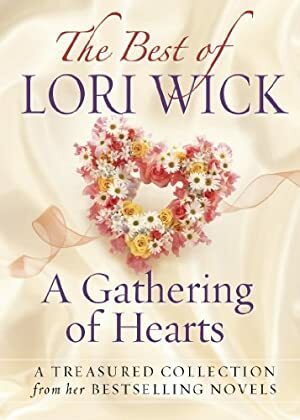 Lori Wick fans will enjoy recalling their favorite characters and story moments throughout the years and all readers will delight in this compilation from one of America's most beloved fiction authors. The price of this book has changed 26 times in the past 2,279 days. The current price of this book is $9.59 last checked one day ago. This lowest price this book has been offered at in the past 90 days is $6.98. The lowest price to date was $0.99 last reached on September 27, 2016. The highest price to date was $11.99 last reached on November 2, 2016. We last verified the price of this book about one day ago. At that time, the price was $9.59. This price is subject to change. The price displayed on the Amazon.com website at the time of purchase is the price you will pay for this book. Please confirm the price before making any purchases.